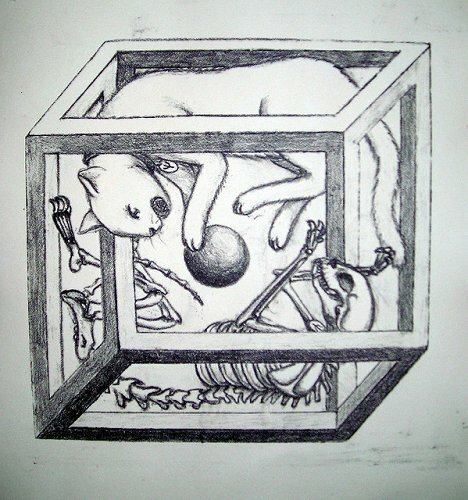 A series of artworks "Schrödinger's Cat", in which impossible cube was used in every image. 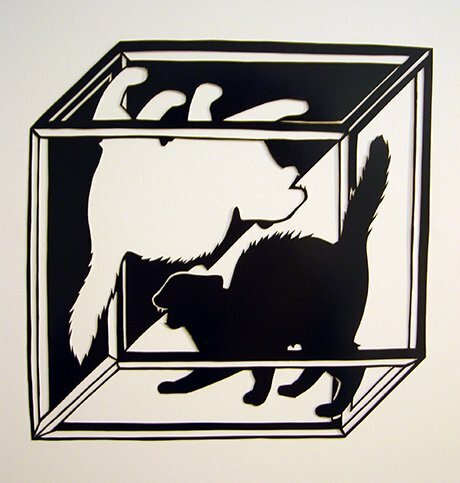 Schrödinger's cat is a thought experiment, usually described as a paradox, devised by Austrian physicist Erwin Schrödinger in 1935. It illustrates interpretation of quantum mechanics applied to everyday objects. 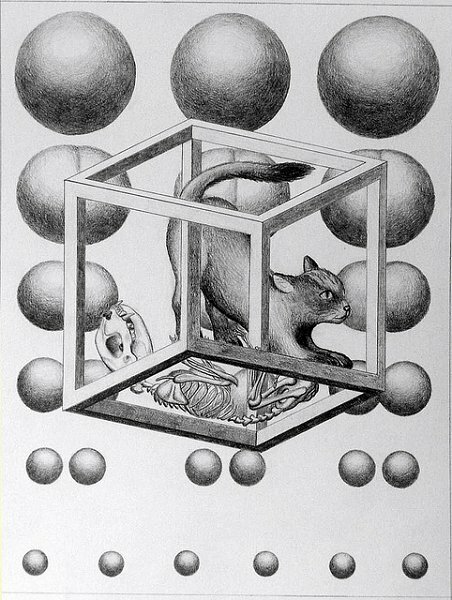 The scenario presents a cat that might be alive or dead, depending on an earlier random event.